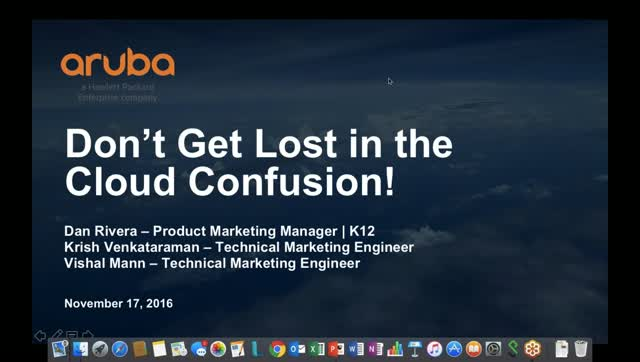 Aruba Central: Don't Get Lost in the Cloud! The demand for high bandwidth WiFi on campus is growing faster than IT budgets. Schools need a better way to maximize their limited resources. Moving to an off-premise solution makes sense, but don’t get lost in the cloud with vendors that trap you with never-ending subscription fees for the life of the hardware! Aruba Central cloud solutions help you rise above the cloud with features that will help you save time and resources while delivering a simple, secure, and cost-effective way to manage your network. Title: Aruba Central: Don't Get Lost in the Cloud!